OLD PARKED CARS. : The Patriotic "Post" — 1949 Ford Custom. The Patriotic "Post" — 1949 Ford Custom. 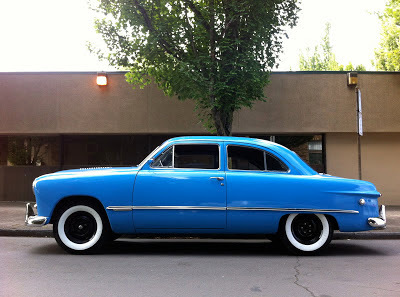 Looks awesome with those steelies and thick whitewalls. 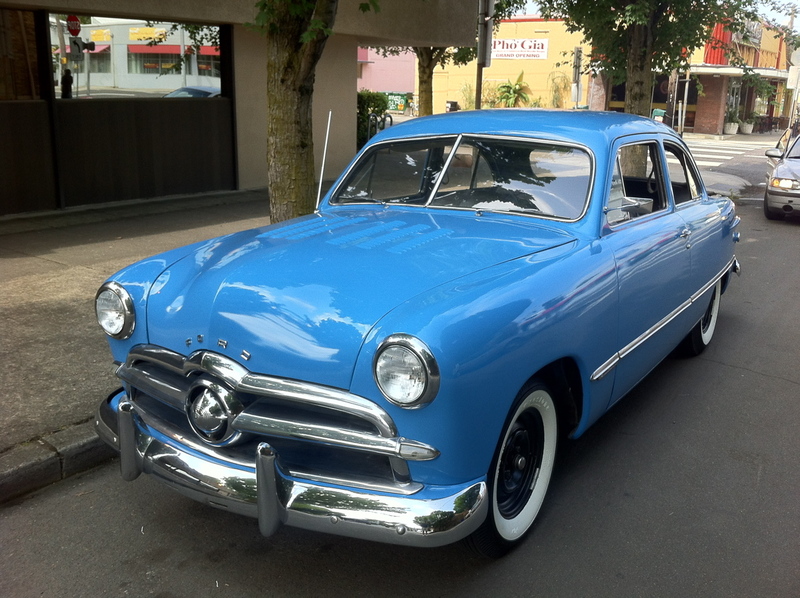 Love the grills on the '49 Fords. Such a beautiful car. I modeled one for Rigs of Rods a few years ago. 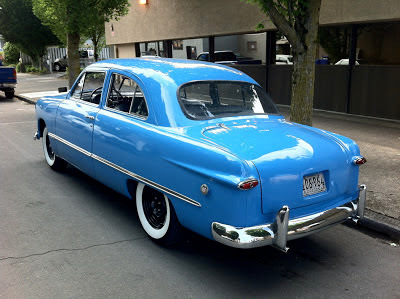 The Car that saved Ford Motor Company. This car was so modern in post war 1949. No more big Fenders with running boards. It's a great find on the street. The Kaiser shipyard car park in Portland was probably jammed with these. Every GI got a wife, a baby, a bungalow, a Frigidaire, a Sinatra record, and a Ford.